Autumn and Winter are beautiful seasons… until they give you a cold! We all know how it feels to be struck down with a cold; stuffy nose, banging headache, chesty cough, sore throat and aches and pains all over the place! 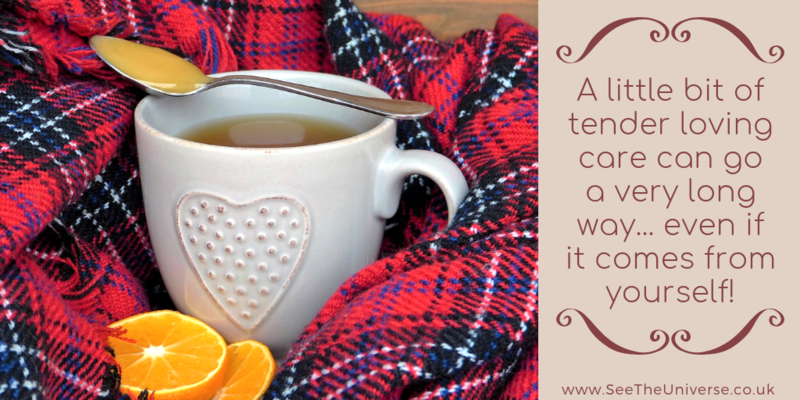 We often just sit and let it take its course whilst moaning and feeling sorry for ourselves… but there are a few things that we can do in order to make having a cold more bearable and make it go away that little bit quicker! Detox Bath: baths are a great way to relax and unwind, but they can also be very helpful when suffering from a cold! The hot steam can help clear your blocked sinuses and ease aches and pains. You can turn a normal bubble bath into a detox bath by adding the likes of Epsom Salts or essential oils! Epsom Salts are magnesium crystals which have a calming effect on your body! The hot steam and the calming of the Epsom Salts will help you to get a better nights sleep! Essential oils are a lovely addition to any bath… but certain ones can be beneficial when trying to get rid of a cold. Eucalyptus can help to open up your sinuses whereas lemon can boost the immune system, you could also use lavender, which often has a calming effect. My partner once made me a homemade hot drink to help me to fight a cold. It was a very simple recipe and it was much nicer than the shop bought beverages such as lemsips! He boiled lemons and oranges in water with sugar and honey, after some time sieved the liquid into my favourite mug, putting a piece of fresh lemon in as a finishing touch. It was quite refreshing and definitely made me feel a little better! I will definitely be keeping this simple, cheap recipe in mind for future references… If you would like to try something a little more extravagant; I found a recipe online for a ‘Charcoal Beauty Elixir’ which is said to work wonders if you are suffering from a cold! This recipe does sound really nice, including lemon, lavender, honey and coconut charcoal… I may give it try for myself in the future; you can find the recipe with instructions here! Honey is great for battling a cold as it filled with antioxidants and can help to boost the immune system. As stated above, you can add honey to a homemade recipe or you could add it to the likes of green tea or camomile tea! Honey is especially beneficial for coughs and sore throats. Chicken soup… this is a go-to food for me when I am feeling unwell. Chicken and vegetable soup can help to ease sore throats and coughs, the heat is a huge benefit too, with studies showing that drinking hot beverages over cold/room temperature beverages is much more beneficial when tackling a cold, not only easing sore throats but also helping with stuffy noses and fatigue. MayoClinic – Cold Remedies: What Works and What Doesn’t! EverydayHealth – 10 Doctor Approved Cold Remedies! If you know of any good remedies for cold and flu, please feel free to share them in the comments below! Self-care is super important and people tend to forget that their mental health and wellbeing also need attention from time to time! There is nothing selfish about taking time out for some self-care. Everyone’s self-care routine will be different as we all have different hobbies and find joy in different things! The idea of self-care is to do something that you enjoy, something that makes you happy, something that makes you feel relaxed, or something that you do not get the chance to do very often! 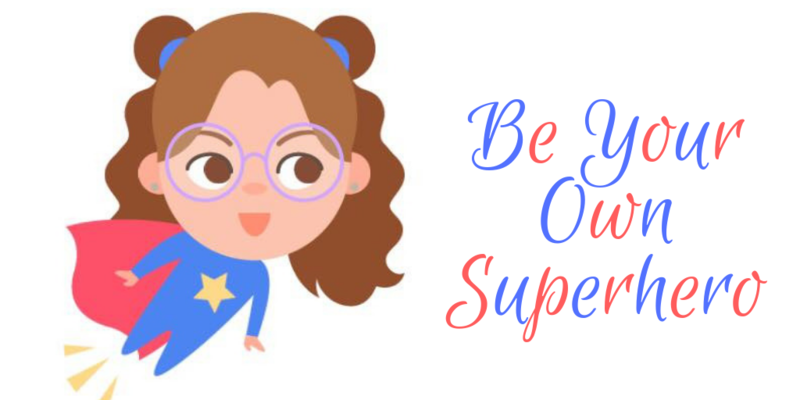 It can be easy to forget about self-care, especially when you are in a full-time job or when you have children to take care of, or if your life is a little bit hectic at the moment! But this is the great thing about self-care… it does not have to be time-consuming! You do not need to dedicate a full day to self-care, although that would be amazing, you can just take 10 minutes out of your day to do something you enjoy. 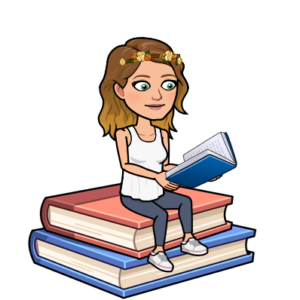 This could be simple, such as having a cup of tea, reading a chapter of a book, watching a TV show, running a bath, having a hot shower, colouring in, listening to music or doing some yoga! Or if you have more time, you may decide to go to the gym, go for a run, visit friends, go out for tea, watching a movie, or taking a day to do all of these things together! Whatever you enjoy, however you relax, you should make sure that you take some time to do them! It is okay if you cannot do these things every day, but it is important that you engage with self-care at least once a week. Some people may take up physical activities and extreme hobbies as self-care and that is okay! Self-care is not about meditating and relaxing, it is about doing something that you enjoy, something that makes you smile or laugh, something that takes the edge off after a busy day/week. walks from time to time as they can be a great way of clearing your head. I go to the gym three times a week (when possible) and I listen to podcasts! I also love a good lazy PJ day once a week, when I will drink lots of tea, do some colouring and some reading and watch Disney movies whilst being wrapped up in a cosy fleece blanket! As you can see, I take a relaxed approach to self-care… these things may seem incredibly boring to some people, but that is okay because the world would be boring if we all had the same interests and hobbies wouldn’t it? Getting fresh air is really good for your mental health and well-being, even when the weather is not at its best. So try not to stay cooked up inside all day every day when you are off work, try and get out and about, even if it is only for a short 5-minute stroll! If you have a pet dog, this is a great excuse to go outside! Take them for a walk… but while you are out, take a moment to embrace your surroundings, take a real good look around and just breathe! It is a great way to relieve stress and bring yourself back down to earth. Remember that you are important, you matter, and it is okay to take a moment to just think about yourself and put yourself first! It is not selfish, it is responsible self-care! What do you like to do in your spare time? 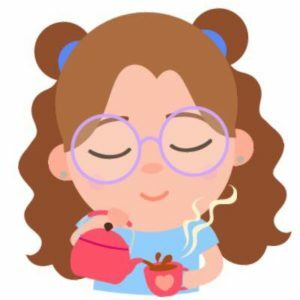 What is your go-to activity when it comes to self-care? Let us know in the comments below… make sure to tick the follow comments box so that you will be notified of any replies! The same is true of coping strategies. A good coping strategy means we can all better manage our day-to-day struggles without constant input from mental health professionals who play a major role at the beginning of our illness. As one of the lucky ones who has managed to build a successful new life from the ruins of my old one, I can honestly say I owe it all to coping strategies. For several years I have got on with my life and not consciously employed coping strategies, because they have become second nature to me. But it was all so different when I was first diagnosed. For around a year I had no idea what was happening to me, and soldiered on, as I suspect a great many of us do. Eventually, my mind reached overload point. During a ten-week spell in hospital, I was sectioned for 28 days and a nurse was assigned to be constantly by my side for around four weeks. My life was at rock bottom. My family never thought I’d work again…in fact, at one point they never thought I’d leave the hospital. Those dark days turned towards dawn and the light began to shine on me. Thanks to the love of my family and the dedication of superb mental health professionals, I learned how to create effective coping strategies and actually changed my whole outlook on life. Before my diagnosis, I was an overly ambitious perfectionist, keen to please everyone and get everything absolutely spot on. That, coupled with the fact that three people who were very close to me died within a few months of each other, drove me over the edge. During my treatment, it was found I had repressed memories from my childhood. With everything out in the open, I was on the way to recovery. And once I was discharged, my first coping strategy became all about casting off the things I no longer needed in my life, including corporate success and the stress that comes with it. I returned to my first love of writing, and now work as a novelist and Public Relations writer, and have my own monthly magazine column. To me, coping strategies are highly personal, and you need one for every situation that can cause difficulty. For example, I realised that if I were to continue seeking perfection in my work and myself, I was destined to fail, and would, in all probability face an even longer spell as a hospital in-patient. So my coping strategy for that was to accept compromise, both from myself and other people. Whenever a deadline approaches I ask myself what is the worst that can happen if I don’t meet it? Occasionally I need to burn the midnight oil, but in the olden days, it was a daily occurrence. Now, time and again I miss deadlines and no-one worries. Least of all me. I have now learned how to handle the stigma from some quarters facing anyone with mental health issues. Social media is a double-edged sword for this, and, in my opinion, requires its own coping strategy. On the one hand, social media is a positive, empowering tool, connecting us with others who can support us through the difficult times. On the other hand, it can be used as a medium of evil and vileness, with people posting less than helpful comments. So another coping strategy quickly came about – to simply ignore the attacks which were focused on my mental health. Simple, but effective. And that’s the secret, not only of handling how the stigma is perpetrated by the darker side of social media but coping with the stigma in the “real” world too. You can’t make everyone be kind. You can’t turn everyone into a decent human being. So don’t try too hard. Enjoy the successes you have, and enjoy your family, friends and online supporters. And ignore those who give you grief. In other words, ignore those who are willfully ignorant of mental health issues. So, while I have numerous coping strategies for individual aspects, which have just become part of my psyche now, I have one overall philosophy: today, I am very much my own person, going barefoot most of the time, which I find is a powerful influence on my mental wellbeing. The physical connection in this way with the planet that supports me gives me inner peace. I want to say a huge thank you to Stewart for kindly sharing his experiences with us here at SeeTheUniverse. There will be two more posts from Stewart in the upcoming weeks, please keep an eye out for them, I am sure they will not want to be missed! I think that Stewart is a very strong gentleman, who has come a very long way since his past mental health struggles. Despite mental health still being an issue within Stewart’s life, he has overcome many hurdles and has learnt various coping strategies that have shaped him into the person that he is today. 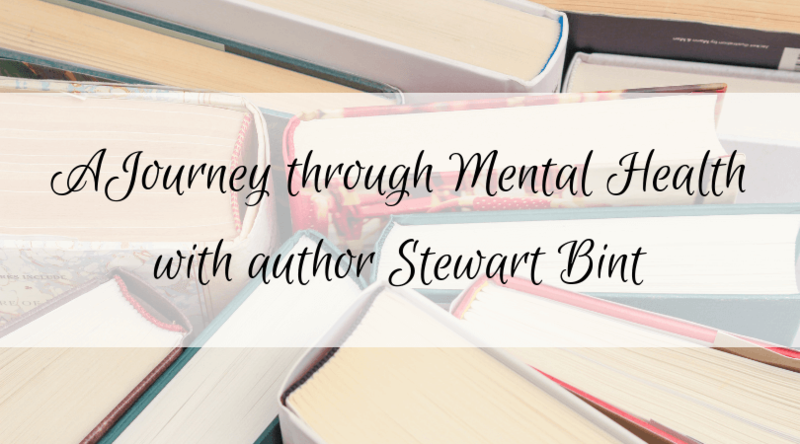 Despite everything, Stewart has come out on top and had turned his life around, publishing many wonderful books and sharing his mental health journey through blog posts and magazine columns across the country. One step at a time, we can beat the stigma surrounding mental health… but to do so, we need to start talking.